Was at home alone the other day with Ran on a Saturday night and fyi it's pretty common for us to be home on weekends because we kinda hate to head out on weekends due to the crowd. So we were thinking of what to have for dinner and we are very sick of the food downstairs our coffee shop already. 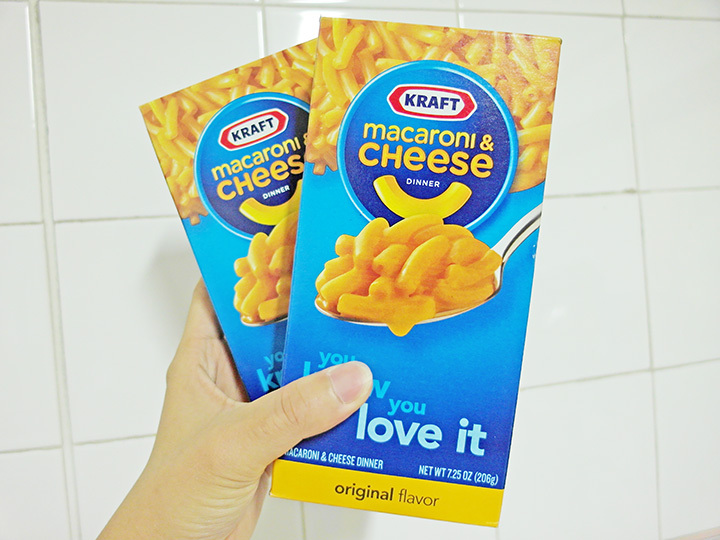 Then I was thinking that we can cook something for dinner instead of going downstairs to buy food and I saw this 2 boxes of Macaroni and Cheese that I bought when I went late night shopping at Mustafa with Isaac, Taiwei and Zj that day! So I decided to cook it with Ran because we are brothers, and brothers who love each other will cook together HAHAHAHAHAHAHAHAHAHHA omggggggggz!!! 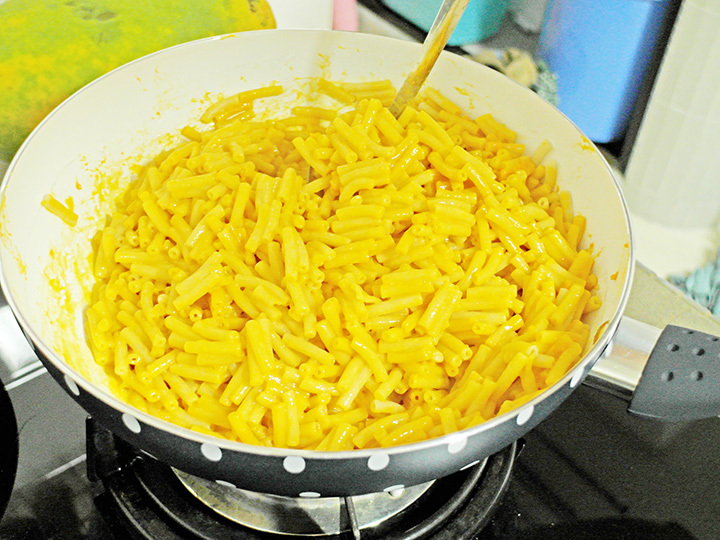 Anyway, guses how much does each box of this Mac and Cheese cost?????????? It's only $1 per box because it's on sales!!!!!! WHY SO CHEAP AH. Omg I think Mustafa always have great steal please, no wonder everyone love to go there. End up all of us bought it because it's way too cheap NOT to buy it. 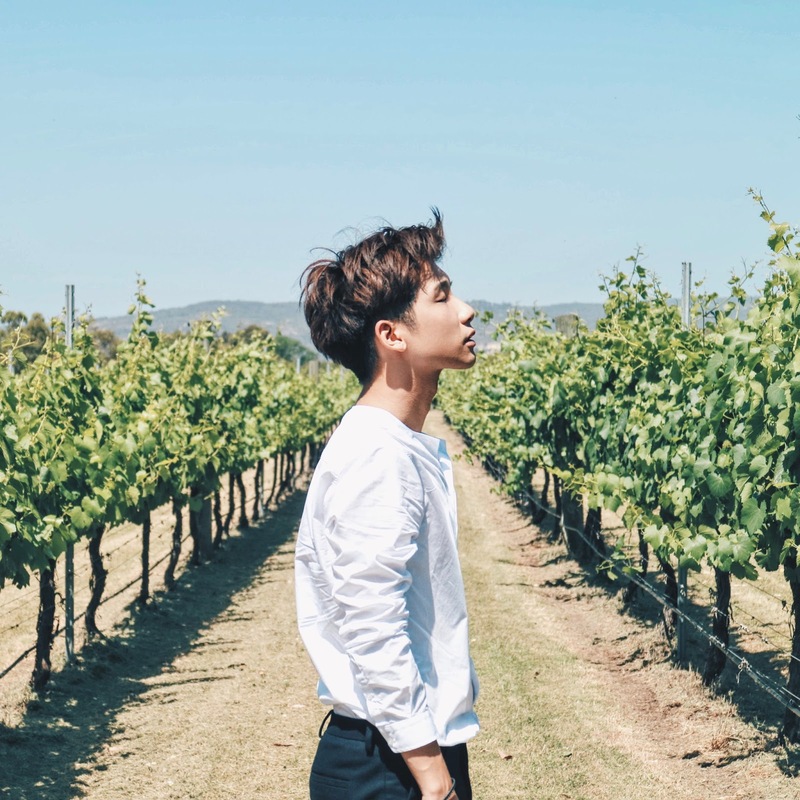 But later we found out the main reason for selling it so cheap is because it's going to expire soon, but it doesn't matter hello. Not like we are going to buy and store it and wait to eat it next year or something. The fragrance there are also all very cheap, you all can go there to buy! I think that time I saw the Justin Bieber or One Direction perfume at like what, $30 only wtf. Isaac was very tempted to buy Lady Gaga one too cause it's also very cheap lol. But why they don't have Nicki Minaj one ah. If not I don't need to trouble all my friends to get it for me from overseas already! 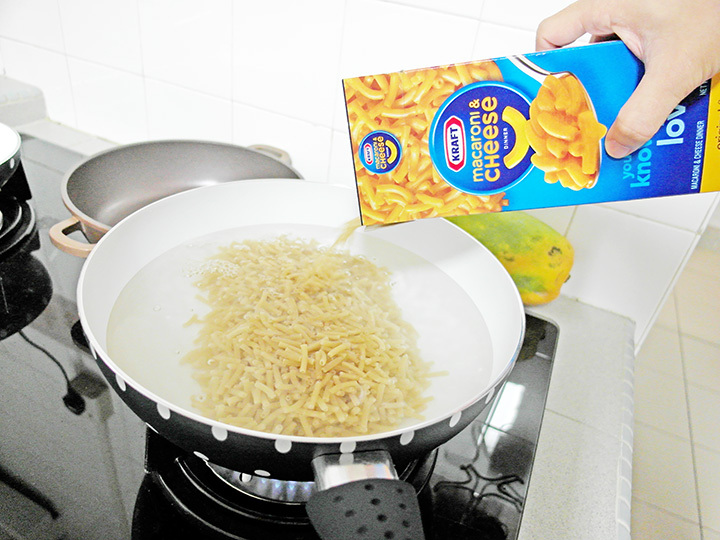 So we just need to pour all the macaroni into a pot of boiling water! And boil it until it's cooked! 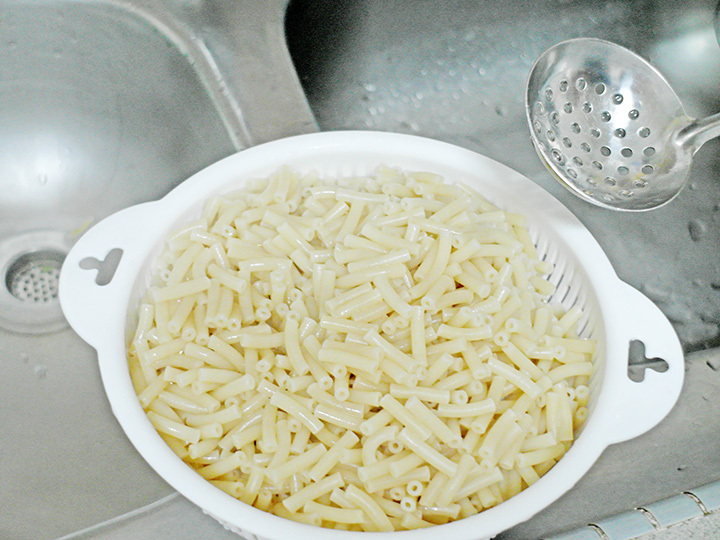 Then we drain the water off then put it back to the pot again! 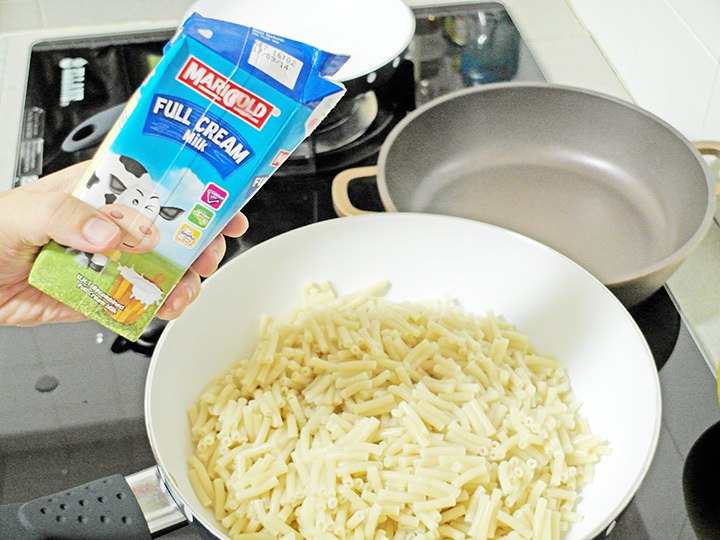 This time round, don't need to add water, but instead add milk! And also butter (I love the taste of butter as compared to margarine) and cheese!!! 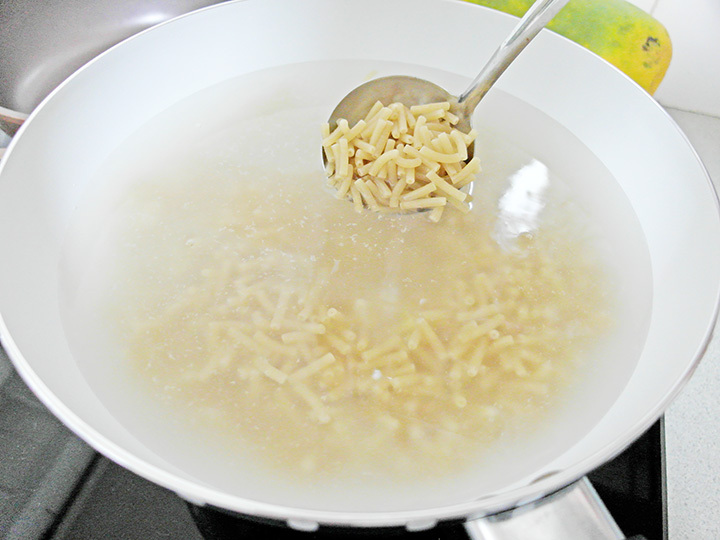 Then slowly stir it and mixed everything well! 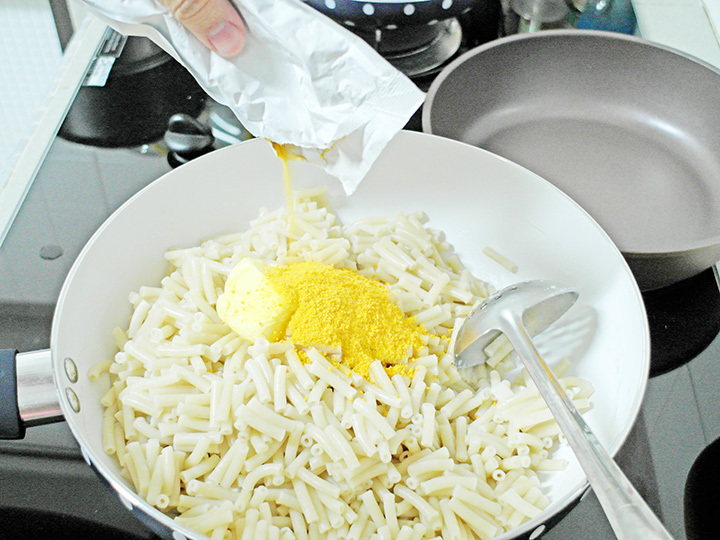 Anyway, the cheese is included in the box but if you are cooking it yourself from scratch, you can just go outside and buy the cheese from supermarket. It's done!!!!! Yay!!! 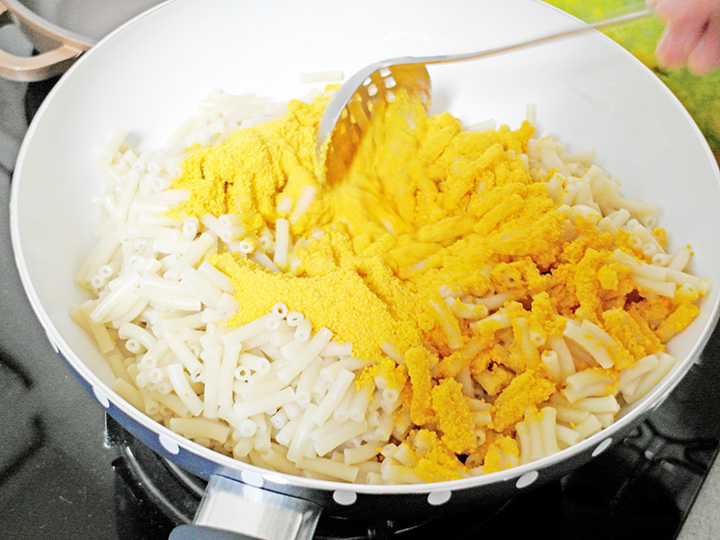 So super yellow and cheesy!! Tadah!!! 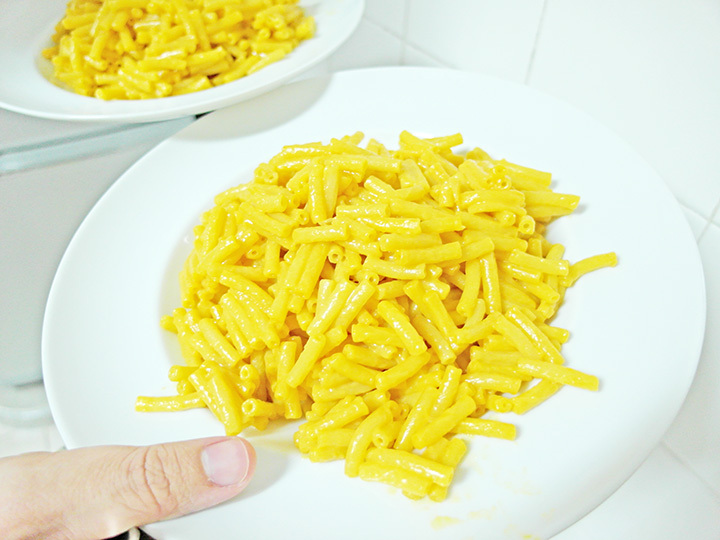 Simple "homemade" Mac and Cheese!! Hahaha!! 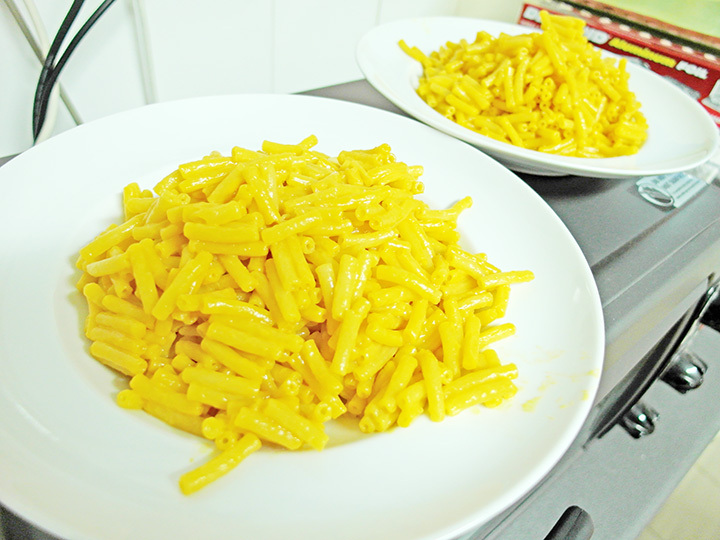 Actually it should be considered as instant Mac and Cheese lolol! End up it's way too much, so we didn't managed to eat finish too hahaha!